The elected State Officers are the State President, State Vice President and the State Secretary. The State Treasurer/Executive Director is appointed by the State Executive Board. JoAnn Johntony was elected to the office of State President of OAPSE/AFSCME Local 4/AFL-CIO in 1985. Prior to that, she served as State Vice President. Over a period of nine years, JoAnn served as the Northeast District President, Vice President, and Treasurer. JoAnn has served as President of her Girard City Schools, Local 425, for over 26 years, as well as other positions within the Local (Vice President, Secretary, Treasurer and Chief Negotiator). She is a Head Custodian at the Girard City High School. JoAnn is a Vice President on the State Executive Board of the Ohio AFL-CIO and on the State Financial Committee. JoAnn is a member of the Mahoning/Trumbull Labor Council Executive Board and the Secretary/Treasurer. She is an Executive Board Member of the Ohio AFL-CIO’s Area Labor Federation (ALF) representing over seven counties. JoAnn is a leader within the Coalition of Labor Union Women (CLUW). She has been a member of the Coalition of Black Trade Unionists (CBTU) since 1995 and a member of the A. Philip Randolph Institute (APRI) since 2000. JoAnn is a graduate of Girard High School and attended the National Labor College (George Meany Labor Studies) where she graduated with a Bachelor of Arts Degree with a double major in Labor Studies & Union Leadership and Labor Administration. Lois Carson was elected State Vice President in November, 2015. She joined the OAPSE State Executive Board as the Alternate representing Central District in March 2013, before becoming the Board Member from Central District in the Fall of 2015, and ultimately moving to State Vice President. 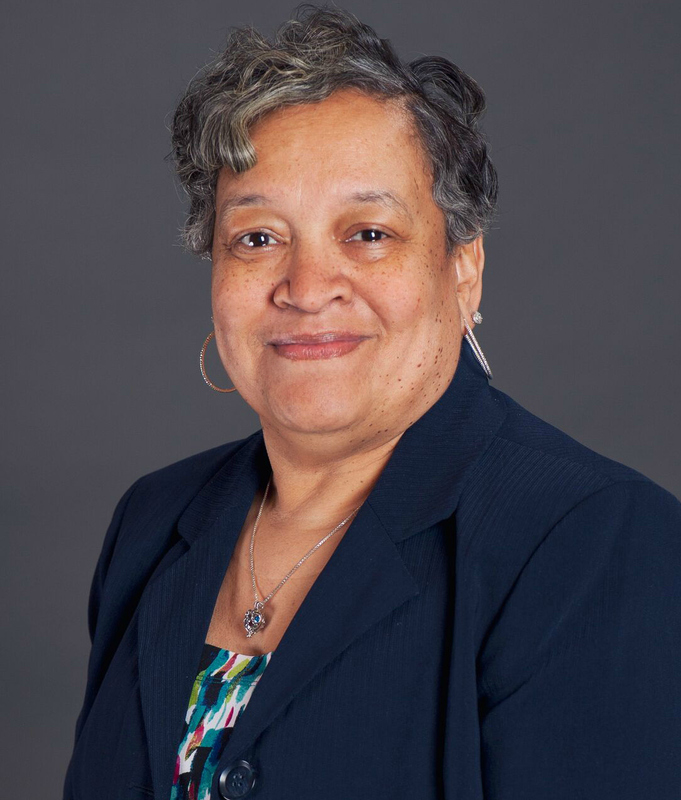 Ms. Carson has been a secretary at Columbus City Schools for 30 years and currently works in the Department of Higher Education, located at Columbus International High School. In 2010, she was elected president of the Columbus School Employees Association (CSEA), made up of 11 local unions with nearly 3,000 members who work in the Columbus City Schools. Ms. Carson was re-elected to that post in 2015. She is current vice-president of OAPSE Local 150, the union for Columbus City Schools’ secretaries. She is the past president of that local union. She is also an active member of the Coalition of Black Trade Unionists (CBTU), A. Philip Randolph Institute (APRI) and the Coalition of Labor Union Women (CLUW). Sandra Wheeler has served as the State Secretary since 1991 and had previously served as the Northwest Central District State Executive Board Alternate for one year. Sandy has held the position of District President of the Northwest Central District since 1990 and has been the President of the Lima City Secretaries Local since 1987. Sister Wheeler is president of OAPSE Making a Difference, Inc., the union’s charitable organization that is working to reduce childhood hunger for students across Ohio. She formerly served as one of the two appointed positions as the Northwest Central District PEOPLE Coordinator on the State PEOPLE Committee. Sandy currently represents OAPSE as a member of the AFSCME International Union’s Women’s Advisory Committee. She is a member of the Ohio AFL-CIO’s Northwest Area Labor Federation’s (ALF) Executive Board and Trustee of the West Central Labor Council (CLC). Sandy is a secretary in the Lima City Schools. Joseph P. Rugola has served as the Executive Director of the Ohio Association of Public School Employees (OAPSE) since 1988. Prior to his appointment as Executive Director, Joe served as the union’s Field Director and as a Field Representative. Under his leadership, OAPSE has grown from just over 25,000 members to more than 34,000. Since 1988, Joe has served as an International Vice President of the 1.6 million-member American Federation of State, County and Municipal Employees (AFSCME). Joe served as Chairman of the Ohio AFL-CIO’s Task Force on Political Action, where he created the “Take Back Ohio” program. He is a Vice President of the Ohio AFL-CIO, and in April of 2007 was elected as the federation President, a position he held until 2011.Joe is an at-large member of the Democratic National Committee and an elected member of the Ohio Democratic Party State Executive Committee from the 3rd District.Joe is recognized in the trade union movement and among educators as one of Ohio’s most vocal and effective advocates for working families and strong public education.He is a graduate of The Ohio State University, earning his degree in Political Science in 1972.